THIS IS THE YEAR YOU FINALLY CLOSE THE GAP BETWEEN REALITY AND YOUR DREAMS. We all want to live a life that matters. We all want to reach our full poten­tial. But too often we find ourselves overwhelmed by the day-to-day. Our big goals get pushed to the back burner-and then, more often than not, they get forgotten. It doesn't have to be that way! In Your Best Year Ever, Hyatt shares a powerful, proven, research-driven system for setting and achieving your goals. 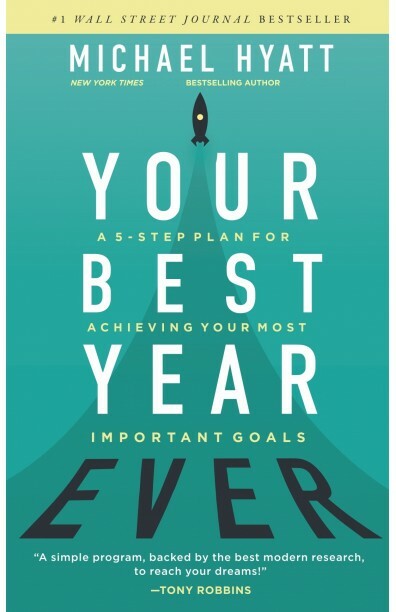 You'll learn how to design your best year ever by discovering • what's holding you back right now • how to overcome your past set­backs • the seven attributes of effective goals • how to quit-proof your goals • the role of habits in personal achievement • what to do when you feel stuck • and much more If you're tired of not seeing progress in your personal, intellectual, business, relational, or financial goals, it's time for you to have your best year ever!